Segani Sendirian Berhad was incorporated on November 25, 1978 as a Holding Company. 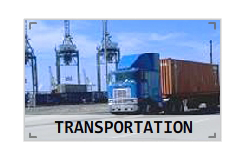 Segani Sendirian Berhad is the flagship of Segani Agencies Sdn Bhd (a liner agency) and Segani Freight Services Sdn Bhd (a freight forwarding company). In all of its corporate activities, the Company has attained its position on the forefront of its established fields with professional Management. Segani Group operates from the Head Office at Kota Kemuning with branches in Port Klang, Penang, Pasir Gudang and Kuantan. 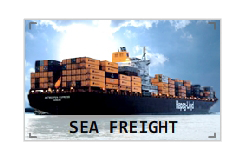 From 1978 - 1997 Segani Agencies Sdn Bhd was the Agent for the German Line Hapag-Lloyd AG until the owners decided to set up and manage their own regional office in Malaysia. Apart from Hapag-Lloyd AG we were also previously Agents for Rickmers Line, National Shipping Company of Saudi Arabia (NSCSA), Pacific Carriers, Linabol, COSCO and others. Agency functions include the various Agents' responsibilities and range from ship husbanding to sales and marketing. 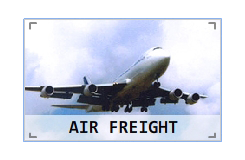 Segani Freight Services Sdn Bhd is a licensed Sea and Air Freight Forwarder and Customs Broker, experienced in handling all domestic and international logistics movements with the highest degree of professional and personalised service. COPYRIGHT © SEGANI FREIGHT SERVICES SDN BHD 2007-2016. ALL RIGHTS RESERVED.